For Joshua Ketchmark, the road to Nashville started in the small closet of a house on Fourth Street. It was there he found an old acoustic guitar, a copy of “With the Beatles” and, through them, his love for music. Now more than two decades after he left Pekin for Nashville, Ketchmark is paying homage to the town and people that shaped his life — more specifically, his dad. 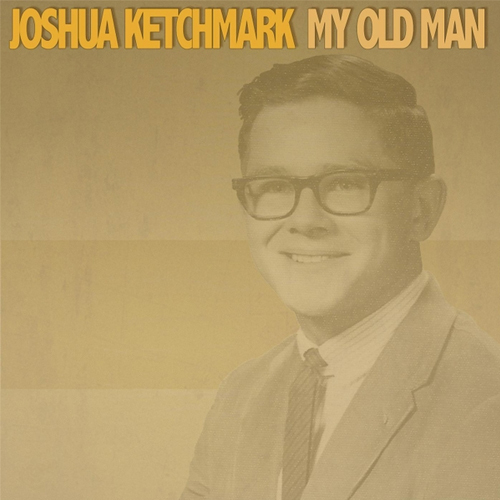 His new song, titled “My Old Man,” tells the story of his relationship with his father, Bill. Bill, a regular at Friends Tap and Sunset Hills Golf Club in Pekin, died of cancer in 2003. Thirteen years after his father’s passing, Ketchmark said it was a friend’s advice that prompted him to write the song he said was always on his mind. That wisdom, coupled with the recent birth of his daughter, Leah, was all the inspiration he needed. What followed is a stripped-down acoustic track through which Ketchmark details the dealings of a man who was “always the life of the party.” The vocals reverberate over a finger-picked guitar, telling with a sort of haunted echo the story of his father. Ketchmark, who graduated from Pekin Community High School in 1992, relays both the physical and emotional distance he felt with his father as he traversed the road between Nashville, then Los Angeles, then back again to Nashville. He calls it the most personal song he’s ever written. In May, Ketchmark will open the International Pop Overthrow in Nashville. He has yet to play live “My Old Man,” which still hits him emotionally each time he hears it. However, with his young daughter in mind, he said he’ll continue to tell the story of Bill. He hopes it’ll one day help his daughter understand something about the grandfather she never met. Ketchmark’s music can be found at JoshuaKetchmark.com.